InfoPath allows forms to be submitted by email, and Formotus extends this capability with extra features on mobile devices. Email is the easiest submit method to implement, and many companies begin with email even if they plan to move to SharePoint or Web services in the future. 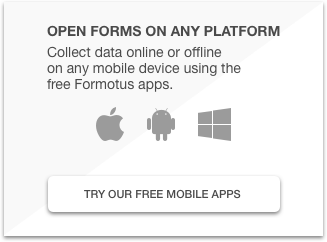 The ready-made forms available in the Formotus cloud console all submit by email. Formotus respects the InfoPath settings for the email address, subject line, content, and form attachment name, and extends InfoPath by letting you choose which view to attach and in what file formats. Email to mobile users an XML form for opening and editing by people with the same Formotus form installed. Forms can be passed around and filled collaboratively this way. Email to cloud storage such as Box or Dropbox. Anyone can open the HTML or PDF file for viewing, and people with the Formotus form installed can open the XML file for editing if the site support ‘open in’ functionality. Note that there are 3rd-party products to enable emailing attachments to various cloud locations such as Google Drive, OneDrive or Dropbox. 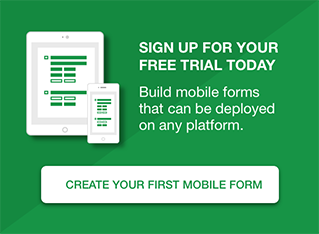 Email submit is a data connection you can add to your form in InfoPath. The Data Connection Wizard lets you specify the recipient, subject line and text content of the email message that will be sent. By using the function (fx) button you can tie these settings to field values in your form so that the subject line, for example, can refer to the customer name or account number. Similarly you can specify the name of the form file attachment using field values and functions. The filename of the form can be important, so give it some thought. You may want to include a timestamp in the filename, for example, if you need each submitted form to have a unique name. 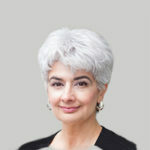 Here’s a support article on naming. Note: Only the Attachment Name field in the wizard screen above will affect your Formotus forms. The other settings are disregarded, as these attachment settings are controlled in the Formotus cloud console. When your uploaded InfoPath form contains an email submit data connection, the settings screen for that form in the Formotus cloud console lets you specify which form view to attach and in what formats. You can specify any view in your form to be the one attached to the email. If no view is specified the InfoPath default view will be attached. You can also specify the file format(s) you want to include as attachments. By default all available file types are attached.